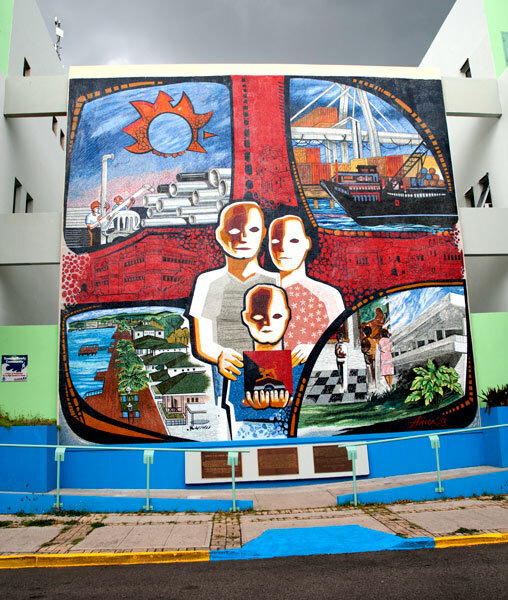 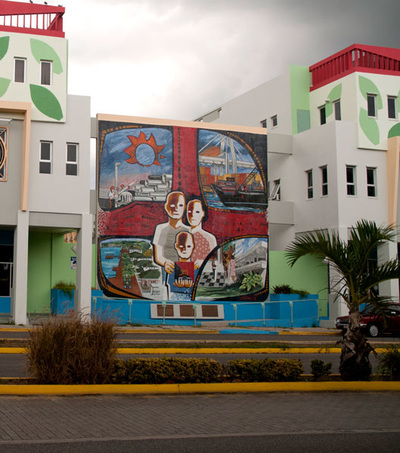 This mural was installed in the Civil Defense Building, in the Miguel Pou boulevard in Ponce, Puerto Rico in June 2004. The mural has as a central theme the Ponce's Family, with the faces of the three roots (Spanish, Black and Indian) in a generational relief from parents to children. Other secondary themes are the Plaza del Sol, the Indian Ceremonial park of Tibes, Ponce's Industry, the Port of Ponce at the time of it's projected development, Ponce's Art Museum and La Guancha boardwalk, a place for friends and family meetings.